For many years I have enjoyed the lore behind all of the World of Warcraft games, so any time a new book comes out, I am eager to read it. Because of this, I have read all of the current books published set in this world. 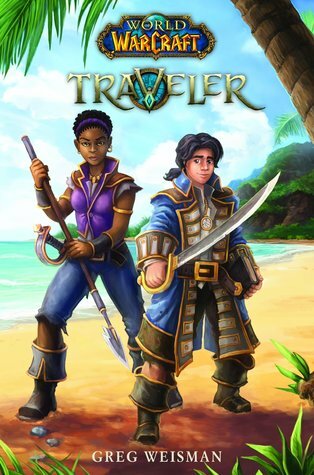 So when I first heard about Traveler, I knew I had to read it. 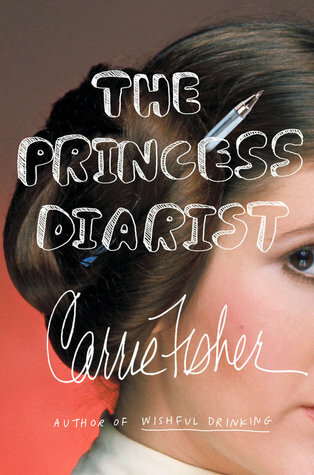 Not only was it a new book in the series, but it was also the first young adult book as well. I’ll admit, I wasn’t sure if a young adult Warcraft book would even be any good, but I was at least willing to give it a shot. It took me a little bit to get into this book. I think the reason behind this is that it surrounds all new characters. Up until now, all previous Warcraft books have revolved around well known characters from the game, so you tend to already know things about them and the book merely expands on those things and ties it all into the current and/or future expansion of the game. It was not the case in this book. I’m not opposed to new characters at all, after all, the world setting of this series is so vast that you can easily have a new character, or several of them, in each new book and still only begin to scratch the surface. It’s just that it took a bit too long for me to have any invested interest in the characters. I realize that it does take time to truly establish characters and for them to grow, but it wasn’t until the second half of the book when things finally picked up enough for me to start enjoyed the story. I will also admit that for quite some time the story itself felt a bit flat. It was clearly leading up to something, but the destination seemed so far off that the journey was getting a bit monotonous. The second half of the book was much better, things finally started to pick up and the plot and characters seemed to finally have a purpose. I have to say that the character growth in the book was hit and miss. Makasa, the female lead of the story didn’t change very much, but Aramar, the male lead definitely had a lot of growth. It took him time to come into his own, but once he found his way, his growth came quickly. A great addition to this book were the drawings without. Since Aramar is an artist at heart, I appreciated the fact that they included the drawings he did along the way, instead of just saying that he did them and not allowing us to see him capture the places and people that he met along the way. Though this is not the strongest book in the overall Warcraft series, I still quite enjoyed it and am looking forward to reading the second book when it comes out. I do feel that younger readers would enjoy this story more, but really anyone who loves Warcraft or has even a small interest in the series may enjoy it as well. This entry was posted in Books, Fantasy, World of Warcraft, Young Adult and tagged Book Review, Books, Fantasy, World of Warcraft, Young Adult. Bookmark the permalink. I have never really read any of the World of Warcraft series of books but considering how much I loved the lore from the game – and how half of my reading series are ending soon, maybe I should give it a try! Yes, you should definitely check them out. I can give you a list so you can read them in the proper order.